Well, I love Demon Attack, so you finally got me! Never did anything like this but Im liking the concept. Im much more of a console shmupper than arcade , so this is up my alley. Is that your patch? 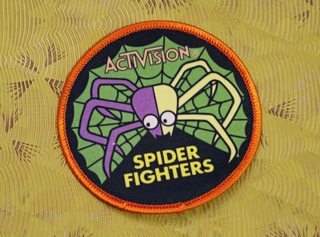 I didn't know about the Activision patches until just a few years ago, but it was kind of a cool idea that, unfortunately, followed with the decline of the US gaming industry in 1983. Am afraid not ( shamelessly stolen from interweb ) Brilliant idea IMO, reward players who achieved 40K score in the game. I love stuff like this . I do too! I actually thought about buying one of those last night, because I managed to almost hit 100K on the "expert" difficulty switch level, but those patches aren't cheap. Thanks! I managed to squeeze out a little over 141K a couple days ago. I know it's possible to score a lot higher, but I'm pretty happy with that at the moment, given how quickly I progressed. I totally forgot to update this thread, but the game of the month for February is Zanac! All versions are available, and we'll even be discussing Zanac NEO, so any fans should stop over and take a look! I watched your stream on Zanac the other day, man that game is relentless. Thanks for watching! Yes, it definitely has frenetic pacing for much of the game. One interesting thing is that it has a level of adaptive difficulty, to where your sub-weapon choice affects what enemies you'll encounter, to a certain degree. It can drastically change the way the game plays. yes, I noticed that. it's almost like a strategy game where power ups can actually be your downfall . Do you play these game on the original hardware ? One interesting thing is that it has a level of adaptive difficulty, to where your sub-weapon choice affects what enemies you'll encounter, to a certain degree. I remember the game getting super angry whenever I picked the frontal shield (which should be weapon 2). However, Weapon 7 doesn't drastically boost the enemy agressiveness even though it can cancel bullets and it very useful overall. Have you tried the SPECIAL mode in Zanac X Zanac, by the way? It is Zanac, but harder. if you haven't had your fill of the game after clearing its regular version, you may want to try this one! Also, there's Zanac Neo which is a fantastic game, and definitely worth checking out. If you like the Compile style, you'll enjoy it. But what's really great is that you can have fun with it even if you don't actually like other Compile shmups. I will be exploring Zanac NEO this month as well, and probably streaming a little of that later in the month. I know that Zanac X Zanac also includes the FDS and MSX versions of the game, so I'll probably mess around with those a bit, to see if there are any drastic differences between them, so I can speak to those more directly on the resulting podcast as well. Also: Zanac but harder? Yikes. Get ready for insane bullet hell action, with the March selection for the RF Generation Shmup Club! We'll be taking a look at our very first "danmaku" game, otherwise known as the "bullet hell" variety of shoot-em-ups. Often considered to be the hardest segment of shooting games out there, danmaku shmups were initially kicked off with the final Toaplan title, Batsugun, and popularized by now-legendary Japanese developers, CAVE. With many indie developers having been influenced by Japan's masters of bullet hell style, it was only a matter of time before we began to see independent games take on the CAVE juggernaut with new takes on the formulas laid out by DoDonPachi, Ketsui, and Mushihimesama. Enter indie developer Yotsubane, and their highly lauded title, Crimzon Clover. Initially released in 2011 on PC, the game later received a version for the NESiCAxLive arcade platform just 2 years later. The game saw a worldwide release on Steam and GOG toward the end of 2014, with the updated PC version having been re-titled Crimzon Clover: World Ignition. Taking a page from not only the CAVE school of design, but also calling upon earlier titles with lock-on mechanics, such as RayForce or Soukyugurentai Otokuyo, aka Terra Diver, the game employs a lock-on system, where you can create a field around your ship, and target enemies that come into proximity with you. This factors into the scoring multiplier system, and is a key mechanic in the game. The other key mechanic is the "Break" system. As you play the game, the Break gauge fills up. When activated via a bomb, your ship has temporary invincibility, your firepower is increased, and your score multiplier is higher. It also means your Break meter will fill back up faster, giving you the ability to stack up for a Double Break. 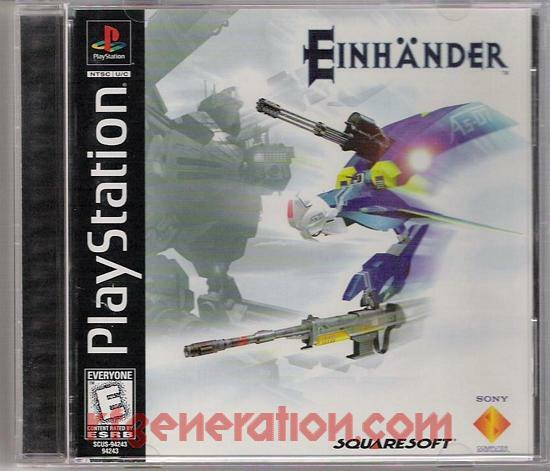 It all adds up to an interesting scoring system, and game mechanics that give this vertical scrolling shooter a unique flair. Come join us in March, as we set the world ablaze! Yeah, I think it has aged reasonably well, compared to games that aimed for more realism, since facial modeling and texture mapping were so low-poly at that point. A game with smaller on-screen objects and faster movement/action doesn't seem to suffer as much by comparison. We started the RF Generation Shmup Club in June of 2018, hoping to expand the site's appeal, and broaden the Community Playthrough section of the forum. We have seen new members join, a podcast develop, and a lot of enthusiasm as a result of this. We started with the classic R-Type, from Irem, because it's a well regarded, iconic shooter, that has stood the test of time, and is still loved today. We followed that up immediately in July of 2018 with a classic that partially served as an inspiration, the original Gradius, by Konami. Now, in the final month of the 1st full 12-month period of the Shmup Club, we bring it full circle. For May, 2019, we'll be playing Gradius III. Not only will we be looking at the SNES and Super Famicom home conversions of the game, but we'll also be examining the arcade game. As of now, there are 2 solid, affordable ports of the arcade original. One is in the form of Gradius III & IV on the PlayStation 2, and the other is the solid inclusion of the game in the Gradius Collection for PSP. Regardless of which iteration you play, this shoot-em-up will challenge you, with its legendary difficulty. Do you think you're ready to jump in the Vic Viper, and take on the Bacterion Empire once again? Test your mettle with us, in May 2019, and join in for Gradius III! Here's the thread for Gradius III, if you'd like to sign up to participate!